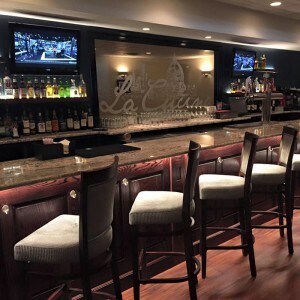 La Cucina is the creation of the Lepri family, Anne Lepri, her late husband, Luciano, and son, Chef Paolo Lepri. We love what we do and take pride in La Cucina. Our restaurant is not just a business, but an extension of our family and our ideals. We are constantly working to present great food and service, change with the times, and please our customers. We learned to run a restaurant by trial and error with a large dose of common sense and innovations from outstanding employees. Through an incredible amount of hard work and love of good Italian food, we now have been in business for over 30 years. Carrying on the family tradition La Cucina specializes in baked pasta dishes such as Pasta Verde, Manicotti Ripieni and Cannelloni di Ravello. 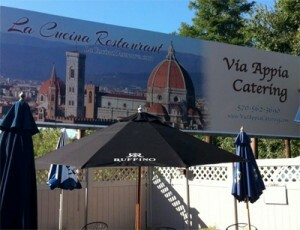 We strive to serve our customers authentic Italian food at reasonable prices in a warm, friendly atmosphere. We have recently completed a total renovation of the restaurant and bar. Call us today to make your reservation and check it out!